I regularly listen to several podcasts. Among my favorites is the leadership podcast by Michael Hyatt. The former CEO of Thomas Nelson publishing and now a very successful entrepreneur, Michael Hyatt (www.michaelhyatt.com) always brings something to the table that stretches and challenges me as a leader. Recently, I listened to his podcast on the vital importance of alignment on any team. It was so good that I shared it with our staff team at Lakeside and wanted to share it on the blog today. AGREEMENT – This level is much healthier in the organization because here people understand your arguments and agree with your direction. In other words, they believe you are right. Their head agrees with you. ALIGNMENT – This level is best and most healthy. Why? Because it is only at this level that people are truly “with you.” Alignment means far more than just agreeing with you. It means you have have their heart even if they have brought a different viewpoint to the table initially. At some point along the way, every single one of us has probably been part of an organization like this one. There is constant “sideways” energy because there are competing visions & priorities. This team will get nowhere because they spend their energy pulling against one another. 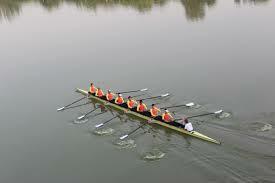 The rowing team above is moving forward because they are aligned. Think about it. Often, there is misalignment in an organization because one or more people or groups feel disenfranchised and left out of the decision making process. There is nothing more discouraging than feeling as if your voice is never heard and no one cares what you think about anything. Wait a minute. There is one thing more discouraging than that: being told your input is wanted and then knowing the decisions are already made before you give it. Those of us who are leaders have to take great care to ensure that our team members feel a vital part of the team. It is only then that they can truly “align” and pull with all of their heart even if a decision didn’t go their way. Over the years, I have seen misaligned marriages, families, businesses, and, yes, churches. It will be a healthy thing to have the “alignment” conversation with your family, your management team, or the leadership team from your church. 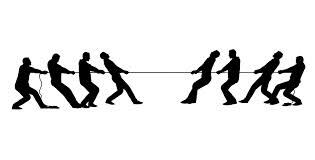 Life is too short and eternity is too long to spend our time pulling against one another. May our families, our churches, and our businesses pull together and move forward with all of our hearts and for the glory of God.